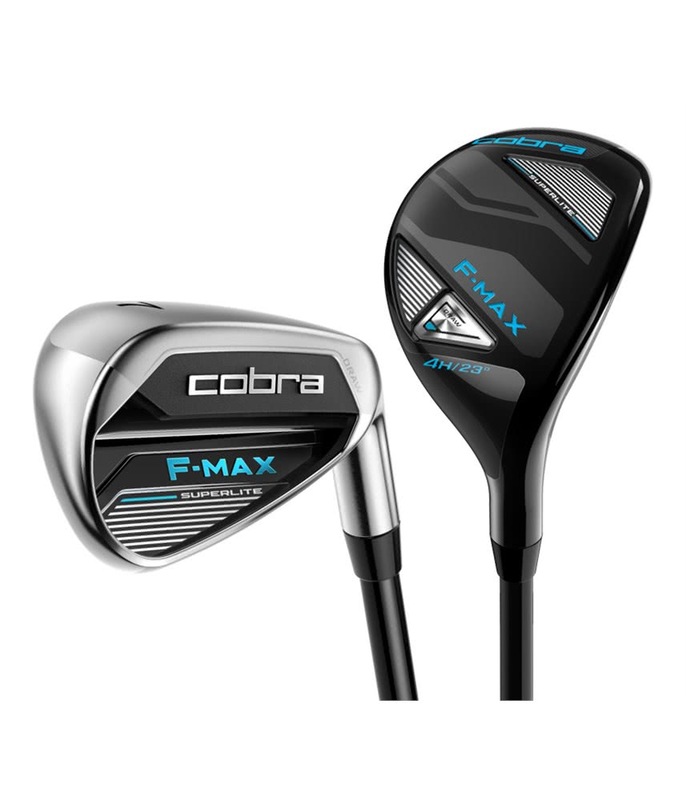 Cobra have created the Ladies F-Max Superlite Combo Iron Set to provide the ultimate progressive set that will aid and provide the game improver golfer right through the bag. The configuration of the set is ideal for the golfer who struggles with long irons as the traditional 4 & 5 irons have been replaced with super easy-to-hit hybrids. From there the clubs move seamlessly into irons starting at 6. 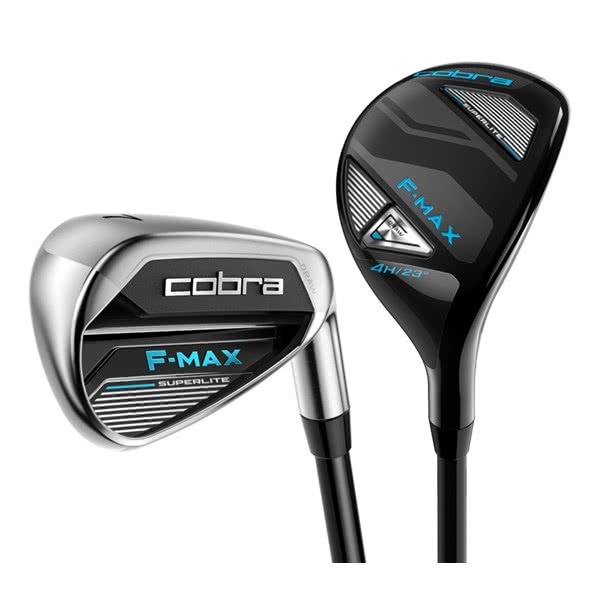 To deliver incredible playability, the Cobra F-Max Superlite Hybrids feature a low profile head shape, a high-strength Forged stainless steel face and the perfect amount of offset that will help stability in the head, reduce spin and deliver a high, towering ball flight. The irons in the F-Max Combo Iron Set feature a deep, undercut cavity design with a low, back CG location and springy face that will deliver maximum distance, stability on off-centre hits and a steeper landing angle that improves stopping distance. Together this combination benefits from their Superlite technology where the heads, shafts and grips have been made lighter to enable you to swing the club faster with less or the same effort whilst not sacrificing accuracy. The entire Ladies F-Max range comes with a men’s grip as standard as Cobra believe the larger grip improves feel, hand speed and delivers extra consistency. Combo set offerings feature 4H, 5H, 6-SW in Ladies flex fitted with COBRA Superlite shaft (50g).